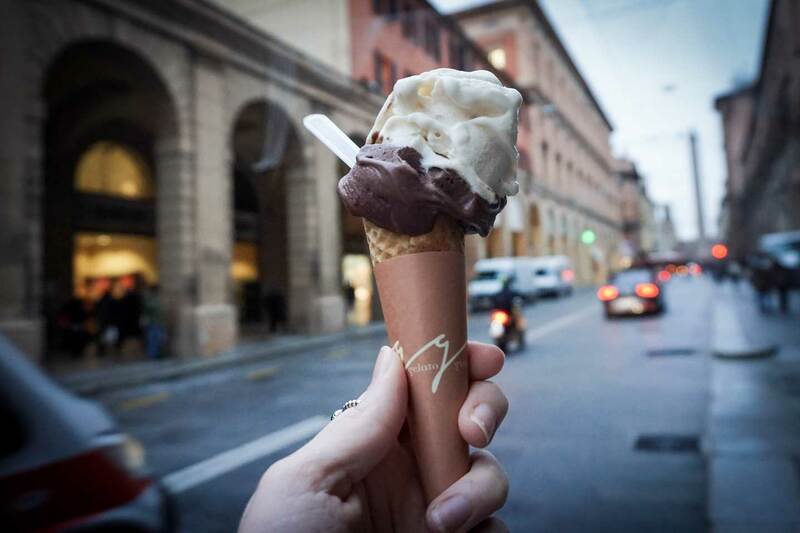 Finding out that the charming city of Bologna is known as the culinary capital of Italy was music to my ears. We had already decided that we would be staying in this beautiful place for one whole week so when we came across this fact, that pretty much set our plans for our time there: our new aim was to partake in as many food-related activities as possible! 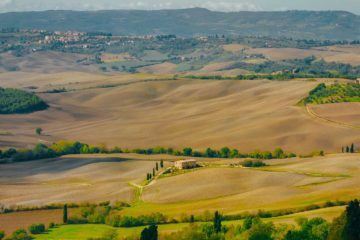 One of the best insights you can have into a culture is learning how to make traditional dishes and when it comes to Italy, you can’t get more traditional than the way they cook. This led us to kick off our week with an Italian cooking class and it was by far one of the best experiences that I’ve ever had. Turns out, cooking classes were BIG in Bologna (no surprise really as the culinary master of the country), but with so many options it was quite overwhelming. That was until I took a look at the classes on Cookly. 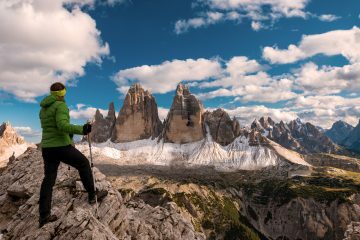 Adventure in You has worked with Cookly in multiple destinations and have nothing but good reviews for their classes so I didn’t need much convincing. With an extremely easy to use the platform, it wasn’t long before I had narrowed down our choices based on what we were interested in and what would work with our schedule. 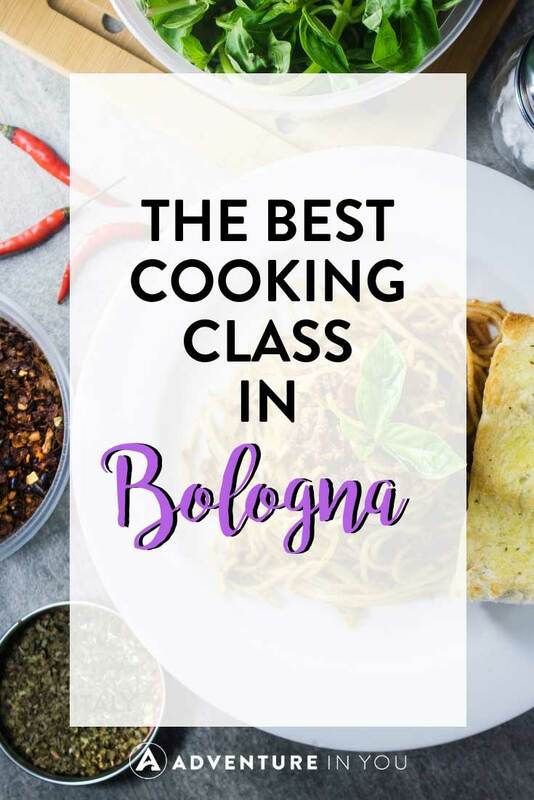 It was a difficult choice (mainly because we wanted to do everything and eat everything), but we finally decided to go with the extremely popular Italian Cooking Class in the Center of Bologna with a Market Tour. 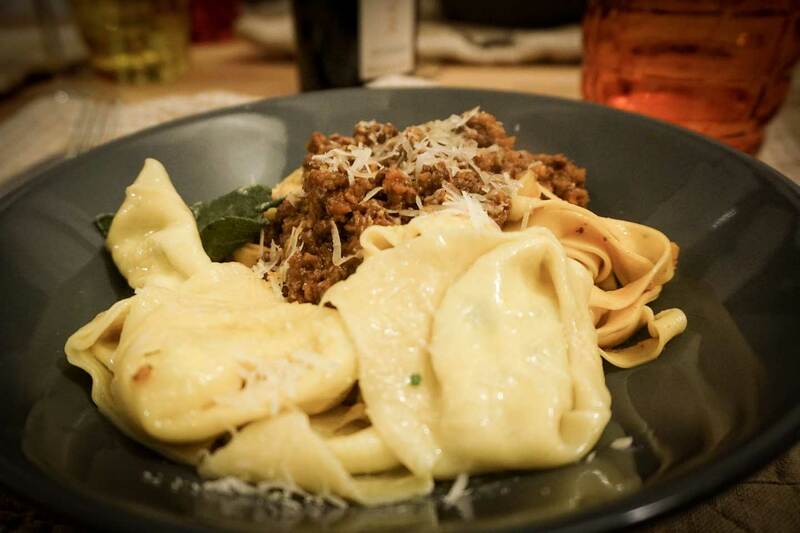 Not only would this class teach us how to make the iconic tagliatelle and tortelloni pasta that Italy are so famous for, but with the market tour, we thought that it would also give us a great introduction to the foodie city of Bologna. 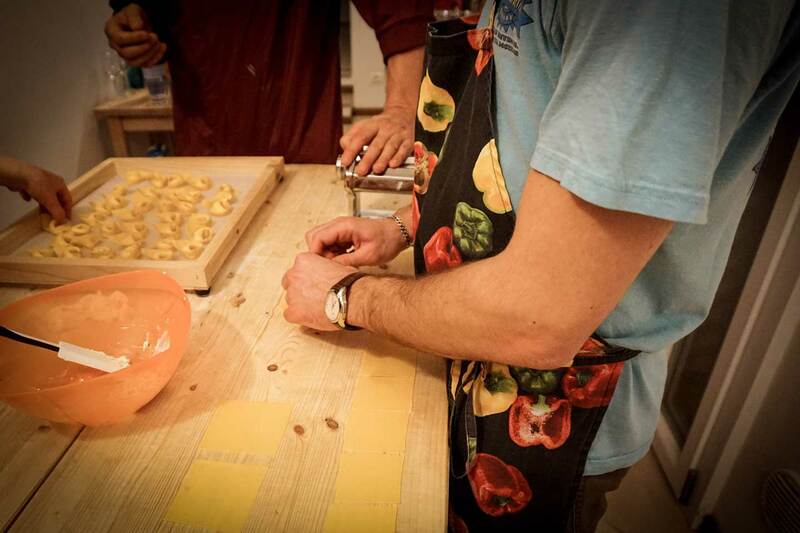 If you want to see the other cooking classes offered in Bologna, check out the link below. On our first day in Bologna, we wandered the quaint narrow streets of the city taking in as much of the culture as we could before heading to our meeting point at 3:30 PM. It was here at Via Ugo Bassi 19 near the statue of Ugo Bassi, that we met our local host Luigi and a couple that was joining us on the tour and cooking class. Straight away, I felt completely at ease with Luigi. Not only was his enthusiasm and friendliness palpable, but I also got a sense that this is what he lived for, to share his passion for food with others. I was already extremely excited and he began the tour with a quick brief on where we would be going and what delights we would be cooking (and eating!). What better way to start off an Italian food experience than with the buzz from an espresso? First up was a double espresso from Filicori Zecchini, an Italian café franchise synonymous with high-quality coffee, Bolognese history, and family since 1919. Although I’m not a coffee drinker, it was great to experience life like an Italian in the afternoon and with a few teaspoons of sugar, the coffee even tasted good too. Situated in a sweet indoor area with a few local cafés and communal seating areas in the middle, we sat for a few minutes and got to know each other. 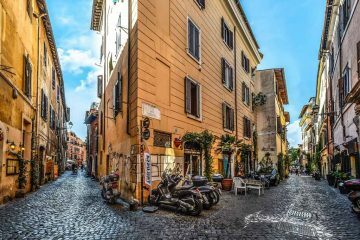 Now that we had our kick start to the tour, Luigi took us on a brief walking tour of the city past the Mercato di Mezzo (Market in the Middle) towards Mercato delle Erbe (Market of the Herbs). This was where we would be buying some of the ingredients for our cooking class. I can safely say that this was by far my favorite part of the tour and not just because we ended up with gelato at the end of it! 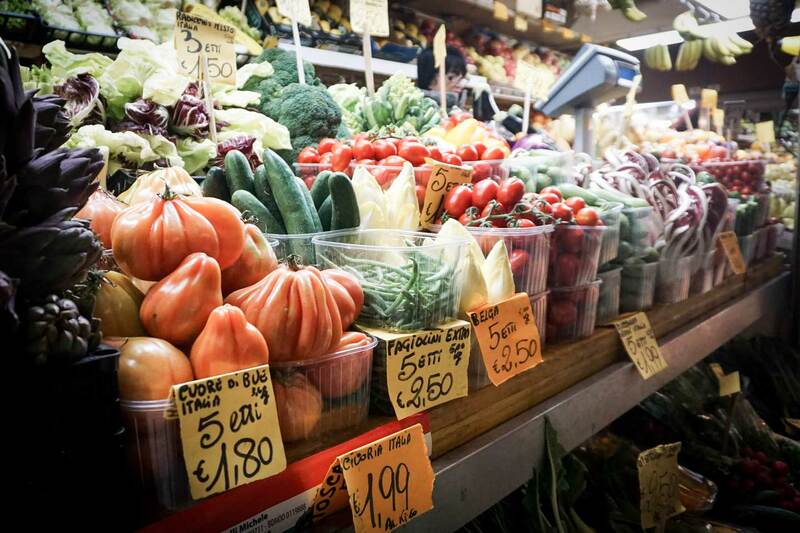 Walking through Mercato delle Erbe, we were surrounded by a kaleidoscope of colors, the smells of fresh fruits and vegetables, and the sound of locals laughing and teasing each other. Immediately, you knew that this was purely a local’s spot and Luigi confirmed that for me by knowing each person on each stall personally. 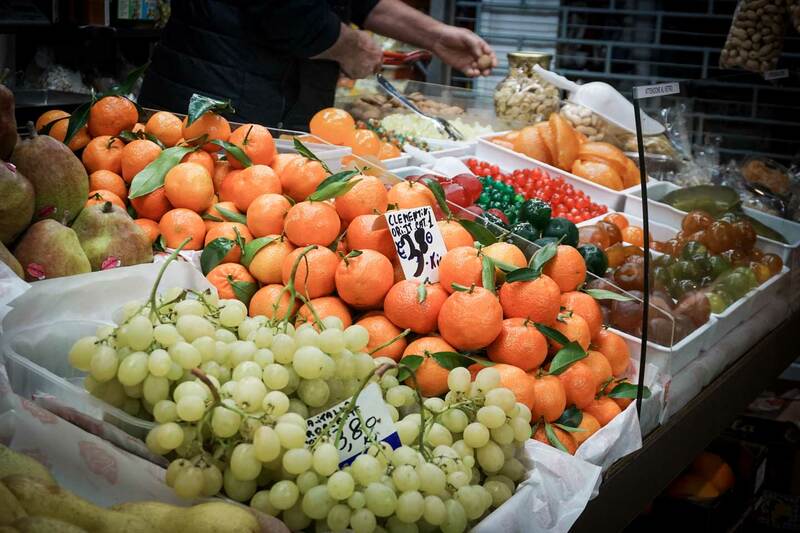 We visited two stalls in the market, one that Luigi recommended for buying balsamic vinegar and sun-dried tomatoes and another for the fresh fruit and vegetables. While in this market, we learned so much about these local ingredients, especially balsamic vinegar and why their age is proudly presented on the bottles, and we also learned a lot about the culture. On the second stall, was a lovely woman who Luigi claimed was the ‘love of his life.’ Obviously, we didn’t understand the whole interaction as it was in Italian and unfortunately, I don’t speak it, but you could tell that it was all in good humor. Luigi did tell us snippets of the conversation, however, as he was professing his love and she was having none of it, and we also found out that the locals have lunch together every day and help each other out if they are looking for something particular for cooking or for a customer. This, for me, was the best insight you could get into Italian culture and how food is often at the center of it. As well as the market tour being highly entertaining, we did buy our herbs here for the dinner and we ended it with a quick visit to a place that sells the best gelato in the whole of Bologna! At this point, I didn’t know any better, but after trying a lot of gelato places throughout my week here, I can confirm that this place is definitely a contender for first place. 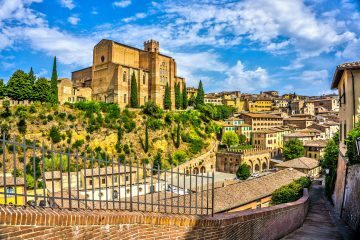 Walking through some of the most picturesque areas in Bologna, Luigi gave us a full rundown of the city’s main sites and rattled off some interesting facts about the life here and how it has evolved over time. With that in mind, we then stopped off at a local Salumeria to buy the meats and Parmigiano for our class. 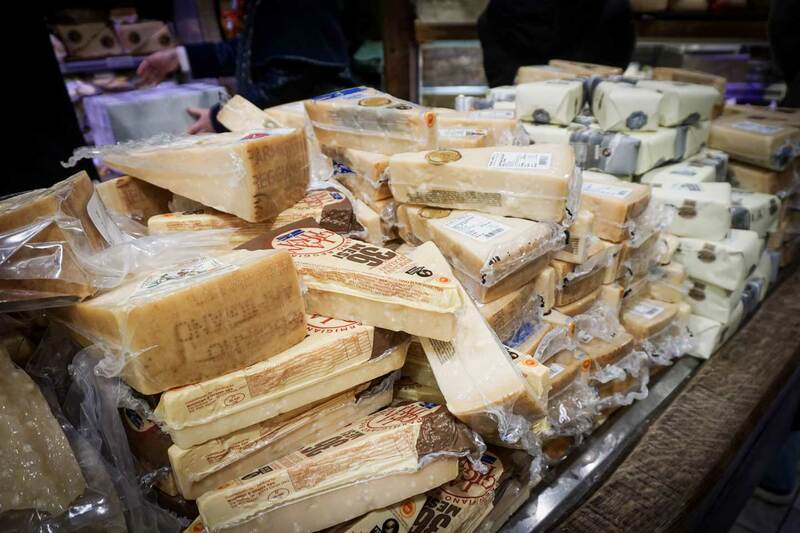 Here, we learned about the different ages of the Parmigiano cheese, how the cheese that has been aged longer is better to eat alone while the younger cheese is used to sprinkle on top of a finished dish. Again, we also got a unique insight into how Italians buy their ingredients from local, specialist places and just how well everybody knows each other. Our last stop before the cooking began was at the oldest bar in Bologna, Osteria del Sole. Here, where they sold only alcohol and no food which was typical of all osterias back in the day, we wet our whistle with the local wine. It was sitting here enjoying the crisp sparkling white wine with a few other locals that I realized how much I loved this relaxed way of living. Every occasion seemed to involve food and/or coffee or wine where people actually sat and talked and enjoyed each others company without feeling the need to rush anywhere else. This simple social interaction is missing in a lot of other countries and I drank in the feeling that we were just a group of friends hanging out. We talked and laughed and we didn’t rush, but when the bottle of wine came to an end, we set off towards Luigi’s home for the real fun to begin. Stepping into Luigi’s humble abode, my initial impression was how homely it felt. A rectangular flat that stretched out in front of us, we could see into the kitchen where chefs hats and aprons were laid out ready for us and I was immediately filled with a rush of excitement. 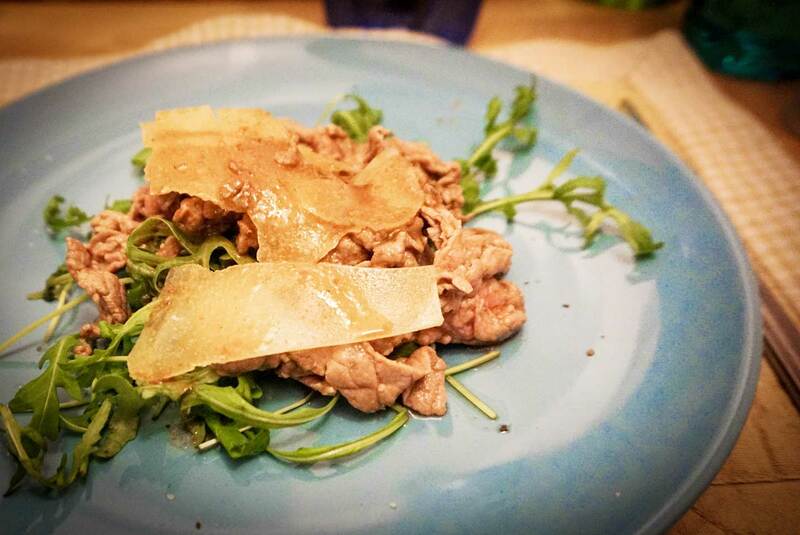 As the menu was all agreed beforehand, Luigi reminded us of what we would be making and explained that there were two elements to Italian cooking: one, they use the freshest local ingredients and two, they use the simplest of cooking methods. Now, from taking this class with him and the beauty of hindsight, I can say with confidence that their methods aren’t easy. Yes, they are simple in the sense that they are steeped in tradition and they still use the same 4 or 5 ingredients to make most pasta dishes from scratch, but I can safely say that their methods take a lot of skill and practice to master the art of Italian cooking. When confirming the cooking class, we could decide between a range of combinations such as Appetizer-First Course-Dessert or First Course-Second Course-Dessert etc, but we went for the menu above. If you want to go for one of the options that have a dessert, it will most likely be creamy Tiramisu. So, the four of us were standing in Luigi’s flat, hands washed with our hats and aprons on and we were all ready to go. Let’s just say that Luigi really did put us to work! Although there was four of us, we all got to be very hands-on and have our turn at being the protagonist of the lesson which I loved, and first up was preparing the ragu. As this incredibly delicious meat sauce had to be cooked for a minimum of 3 hours, we all worked together to combine all of the ingredients and had it boiling away in no time. Next, was the pasta. For the next hour, the four of us stood in our little cooking area kneading away at the dough until it was at the exact consistency that it was meant to be. This took up a lot more time and elbow grease than you would think so by the time it was ready to be wrapped and left to sit for a while, there were no complaints. While we waited for the dough, we quickly made the filling for the tortelloni which was a heavenly mixture of ricotta, Parmesan cheese, nutmeg, and chopped parsley. We even made up another dough ready for a delicious flatbread! Once the velvety dough was ready to be used again, we took in turns to pass our dough through the pasta machine not once, not twice, but six to seven times! It was fascinating seeing this sheet of pasta get longer and longer and thinner to the point where you could see through it. It got to the point where two of us had to handle it together so that one person could guide it across the table as it stretched even longer. 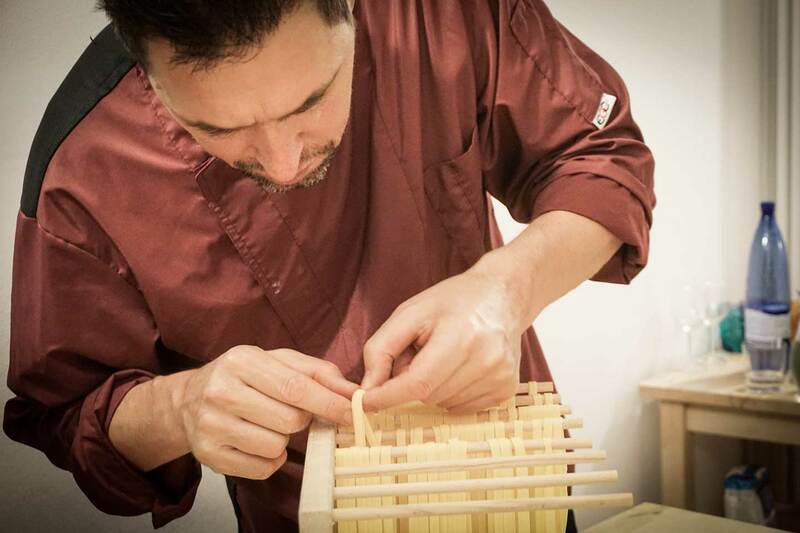 Once our respective doughs were giant sheets, the dough was either passed through the pasta machine again to cut it into the tagliatelle strips or we manually cut it into squares, grabbed some filling and Luigi showed us the art of folding a tortelloni. 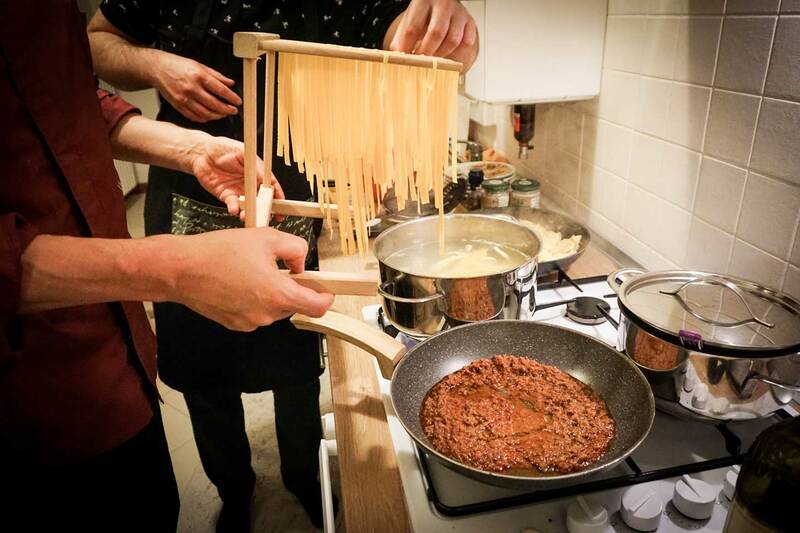 Long story short, we all spent a lot of time genuinely trying our hardest but none of us were able to fold a tortelloni as fast and as perfect as Luigi did. It was truly an art form using just your index fingers and thumbs and no matter how delicate I tried to be, mine came out looking quite peculiar or so small and deformed that you felt quite sorry for it. After all of the chopping and kneading and mixing and folding was done, the rest of our time was made up of cooking and eating (my favorite!). By this time, when we were adding the pasta into the boiling water, the air was filled with rich aromas from the ragu and I was officially starving. It didn’t take long at all to cook the pasta and the ragu had been simmering along nicely in the background for the last three hours, so now was the time to sit down with a glass of wine and dinner was served! No more did we have to get teased by the flavors and smells, we could finally sit down and eat and what a feast it was. We all chatted excitedly as we anticipated the food but once we started to eat, it quickly became silent except for the occasional ‘mmm’ around the table. That’s when you know you’ve made good food. Sitting around the table sharing food family-style, drinking wine and laughing together, I realized that what I loved most about this experience was the intimacy. Any more than 4 people and I think that it would have been too much, but this size group was just right. Luigi was also a big reason if not the main reason why we all had such a great time as well. His passion and enthusiasm for food were infectious and he filled the whole evening with tales about Bolognese history and food and, of course, Italian cuisine. He was the type of person that you could sit and talk with for hours but alas, we had to go home at some point. Ultimately, we were ecstatic with our cooking class of choice through Cookly and it truly made our trip to Bologna. When leaving Luigi’s, we left with a promise from him that he would send us the recipes for the delicious food that we had made and we left with a promise that we’d send him pictures of our attempts. He made it quite clear that he would be very honest if they looked rubbish but I am pleased to say that each re-creation has been amazing so far! After eating so much that we could barely walk back to our apartment, I have had dreams of that slow-cooked meat masterpiece ever since. I continue to marvel at how such a small amount of ingredients can make such a mouthwatering dish, but when it comes to buying fresh local ingredients from the local market and cooking with a professional chef, turns out you can’t go far wrong. If you want to book this particular class, click the button below to see details, read reviews, and more.